Baby Tizio was undergoing emergency treatment for an undisclosed illness and was attatched to gastric and intravenous tubes when he was snatched on Friday evening from a children's hospital in the southern city of Toulouse, triggering an abduction alert. 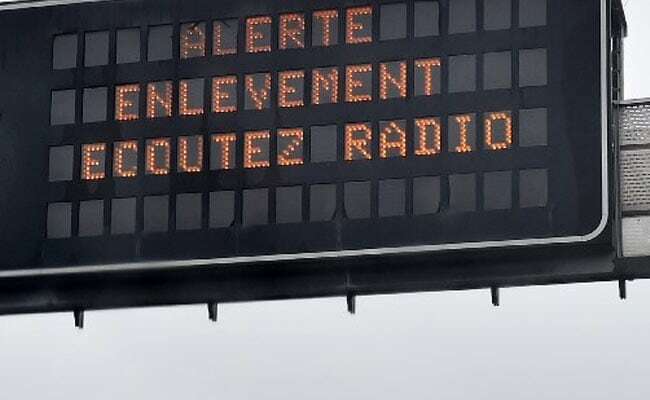 Toulouse, France: A critically sick baby kidnapped by his father was found late Saturday after the hospital treating him launched an urgent appeal, informed sources said. He was later found at Belcaire, some two hours drive south of Toulouse, an informed source said, after an off-duty policeman recognised the number plate of the father's car which had been included in an appeal for the man's whereabouts. "The child is fine," said the source, adding that the father's brother had been arrested. Authorities had warned the baby's life was at risk if he did not receive immediate medical care. "I want to talk to Brendan, Tizio's father, to remind him of the gravity of his son's condition, that his life is in danger, and he needs to take his boy to the nearest emergency department urgently," the CHU Purpan hospital's director Anne Ferrer told reporters. "The medical team is ready to welcome Tizio or to pick him up from wherever he is," she added. The 33-year-old unemployed father was separated from Tizio's mother but they appeared to have been on cordial terms and he visited the baby in hospital every day. A source close to the case said Tizio's kidnapping was "incomprehensible". "He is a loving father who took care of his child," said prosecutor Pierre-Yves Couilleau. CCTV cameras showed the father leaving hospital at about 7:30 pm, about an hour after medical staff last saw the baby. Staff found the infant's room empty at 9:30 pm, only alerting the mother three hours later. Brendan, who had spent the day with Tizio, was described as tall and slender with a full beard and long black-brown curly hair. The "abduction alert" in France was inspired by the Amber Alert child abduction system set up in the United States in 1996 after the kidnap and murder of a nine-year-old girl in Texas. The French system has been used more than 20 times since it was established in 2006, and all the children were found safe and sound, all but two of them very quickly.